Financial services have experienced a rapid change brought on by mobile, social media and digital which has been a natural by-product of technological advancements. Innovation has been disruptive but also incredibly beneficial, forcing this traditional industry to reflect and re-evaluate its operational processes and relationship with the consumer. 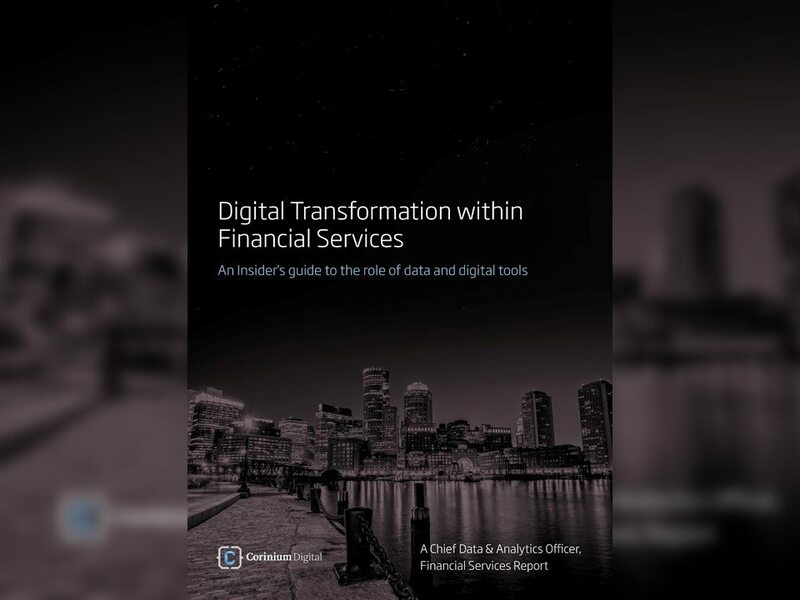 On this backdrop, Corinium Global Intelligence are delighted to announce the arrival our most in-depth benchmarking report for Digital Transformation within Financial Services. This report contains profiling information from senior financial services executives who attended our 2017 Chief Data Officer, Financial Services conferences. This year, we also interviewed 100+ senior data & analytics professionals across the Finance sector to ultimately gain an insider’s understanding of the role of data and digital tools within this industry. Evaluate the emergence of FinTech as a collaborator or competitor. Examine the biggest barriers to advancing revenue in your organization and the challenges in integrating historical data with real-time customer data.